Take a look back at some past winners. Do you agree the best won on the night? TONIGHT’S THE BIG night. Celebs will be donning their ball gowns and tuxes and walking the red carpet in the hope they will be leaving with a gold statue. Winning the best picture Oscar at the Academy Awards doesn’t just say that a movie is regarded by Hollywood as the top achievement in the medium for the year; it cements a movie with past winners that have gone on to become classics such as The Godfather, Lawrence of Arabia, and On the Waterfront. But the Academy voters don’t always get it right. Tucked away in the 89 years of Oscar ceremonies are best picture winners that quickly vanish from the zeitgeist, never to be heard from again. That’s often because they weren’t as good as originally thought. Based on the Jules Verne novel, this film used all of Hollywood’s resources (a $6 million budget in the 1950s was far from cheap) to create a sprawling look at the world, but the story of a super-rich English gentleman Phileas Fogg (David Niven) who attempts to win his wager to navigate the globe is silly and far from memorable. Cecil B DeMille’s final directing effort still holds strong today. With its all-star cast, particularly the incredible performance by Charlton Heston as Moses (he didn’t even get an Oscar nomination for the role), and its remarkable effects for that era, it’s a movie that should have been recognised with the top prize. The late 1970s and early 1980s were when the melodrama was at its zenith in movie theaters, and Ordinary People came around at the perfect time. The film didn’t just win best picture — it also achieved best director for Robert Redford and best actor for Timothy Hutton. Granted, the film has explosive performances in it, but there needs to be more than great acting to win best picture. 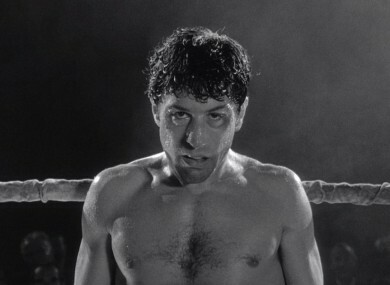 What might be Martin Scorsese’s masterpiece, this look inside the madness of middleweight boxer Jake LaMotta had an incredible performance from Robert De Niro. Beyond that, the cinematography, the deranged writing of Paul Schrader, and the editing of Thelma Schoonmaker (which marked the first time she and Scorsese worked together; she’s done his films ever since) were so on the mark, it’s baffling how the Academy didn’t get it. Curtis Hanson’s adaptation of James Ellroy’s pulp novel of crooked cops in the City of Angels is one of the best modern-day noirs ever made. And with actors Kevin Spacey, Russell Crowe, and Guy Pearce owning their roles in an ensemble, the movie is a gripping drama with a lot more suspense than Titanic had. Colin Firth (who won an Oscar for his performance) and Geoffrey Rush are great in the movie, but there really isn’t much else to go crazy about in this look at King George VI’s (Firth) public-speaking woes. In a perfect example of the age bias of the Academy, more members could relate with a movie set in the late 1930s than with the birth of Facebook. David Fincher’s dramatisation of the rise of Mark Zuckerberg is a movie looking at the now and most likely went over the heads of the older voters. The movie musical suddenly became hot again in the early 2000s, with Chicago winning six Oscars, including best picture. But honestly, unless you happen to be obsessed with musicals, have you even thought about this movie in the past decade? What should have won the prize was Roman Polanski’s unflinching look at a Jewish musician’s struggle to survive the Warsaw Ghetto in World War II. Polanski received an Oscar, as did lead actor Adrien Brody, but the voters went with something more upbeat than this moving work in the final round. The true story that the Academy should have recognised is Kathryn Bigelow’s look at how Osama bin Laden was tracked down. Yes, you can take issue with both films’ portrayal of real events, but comparing the two, this one is just made on another level. Kevin Costner directs and stars in this look at a solider on a remote Western Civil War outpost who befriends Native Americans. Though it initially received positive reviews, many in the Native American community began highlighting its inaccuracies about their culture. Also, there’s one film that was up for the prize that many felt was more deserving. Scorsese was snubbed once more with Goodfellas. One of his more popular films, this one was thought to be what would finally get not just a best picture win for a Scorsese film but a best director honor for the legend. But it was Costner’s night. This ensemble about the intertwined lives of Los Angeles citizens has some interesting history to it, as it’s one of the few best picture winners to not be nominated for a Golden Globe. Critics were certainly split on the film. Some have called it the worst movie of the early 2000s, while Roger Ebert regarded it as the best film of 2005. But the win’s backlash may have also had to do with how voters felt about another nominee. Some believe that it was the voter’s discomfort with the subject matter in “Brokeback Mountain,” which looked at the secret love affair between two cowboys (Jake Gyllenhaal and Heath Ledger), that gave the win to Crash. It’s hard to think they would give director Ang Lee the best director Oscar if that were the case. Whatever it was, not getting the best picture win hasn’t made this film any less great. Directed by John Ford, this story of a coal-mining family at the turn of the century seems to have the pedigree for Oscar love. But then you see the other film that was nominated. Regarded as one of the greatest films of all time, if not the greatest, and a hit when it opened, Orson Welles’ portrait of a newspaper tycoon broke all the rules and proved Welles a genius — and he wasn’t even in his 30s yet. The only problem was he based the movie on William Randolph Hearst, who was still alive and didn’t like the movie one bit. And Hearst had a lot of Hollywood friends. This fictitious tale of how a young William Shakespeare created Romeo & Juliet is fun for a Friday-night watch, but to put it in the category of best picture winner now seems absurd. Well, it won. And you won’t believe the movie it beat. That’s right. Steven Spielberg’s riveting look at the horrors of World War II is a movie that will go down in history as one of the greatest war movies ever made, but it didn’t get Oscar’s biggest prize. Still, it’s likely you’ve thought about images in Saving Private Ryan about a dozen more times than you have Shakespeare in Love, and at the end of the day that’s better than any statue. Agree? Disagree? Tell us in the comments section below. Email “RANKED: 10 movies that won best picture Oscar — and what should have won”. Feedback on “RANKED: 10 movies that won best picture Oscar — and what should have won”.